An exclusive event by invitation only, our goal was to exude the brand and interior design through this first time touch to guests. 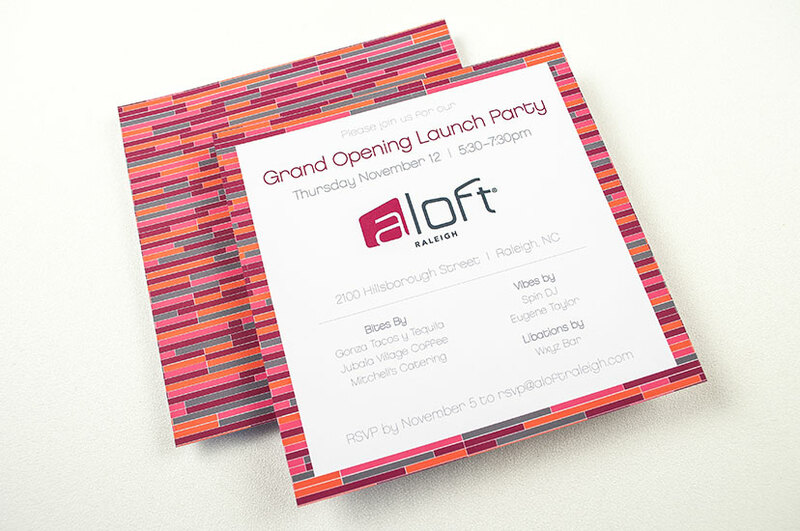 The invitation for the aLoft Hotel Grand Opening launch party features clean typography and colors that compliment the brand’s logo as well as reflecting the sleek and modern interior of the building where the launch party took place. The colors used in the tile-like design on the back of the card reflects the colorful and bright tiles and canvases displayed throughout the hotel’s lobby. This vibrant invitation communicates the fun of a launch party while maintaining the brand’s look.